Maybe the aboriginal people had it right all along. You’ve perhaps noticed that I’ve published less frequently lately. Well, there’s a reason for that. The six weeks prior to Christmas, I took off my retirement shoes and taught full time. The school I taught at for 27 years could not find a teacher to replace a maternity leave. Since the principal was sounding desperate, I agreed to take on a six-week contract. I enjoyed being with young people again. That was why I went into teaching in the first place. Having said that, this experience definitely reaffirmed for me why I retired. Going back to planning lessons, marking assignments, and putting up with disruptive students confirmed for me that retirement from full-time teaching was the right choice. Even though it was exhausting and demanding, I am truly grateful for the opportunities this experience provided. During my brief teaching stint, there was a professional development (PD) day scheduled. I admit, I was a bit negative about attending. After all, I would be retired once again in a few weeks. Why would I need more PD? I talked to my principal about it and he directed me to attend as the topic was general. I am so thankful he did. It was a very moving and powerful day. In 1996, the Aboriginal Rights Coalition worked with Indigenous elders and teachers to develop an interactive way of learning the history most Canadians were never taught. The Blanket Exercise was the result. The Blanket Exercise is based on participatory education methodology and the goal is to build understanding about the shared history as Indigenous and non-Indigenous people in Canada by walking through pre-contact, treaty-making, colonization and resistance. Everyone is actively involved as they step onto blankets that represent the land, and into the role of First Nations, Inuit and later Métis people. By engaging on an emotional and intellectual level, the Blanket Exercise effectively educates and increases empathy. Now I thought I knew about residential schools as I had taught about them when the social studies curriculum changed in 2005; when residential schools were included in the high school curriculum. Experiencing this ceremony left me feeling both shocked and saddened. Shocked because to visually see the result of European contact on indigenous people was appalling, and saddened that my Eurocentric ancestors could be so cruel. The afternoon of the PD day was spent learning about First Nation (FN) culture. I’ve always been drawn to the indigenous people’s culture, especially their spirituality. It is a spirituality that is so inclusive and respectful of nature. This Ancient Indian Proverb expresses FN spirituality well. This Cherokee Prayer also illustrates the FN People’s sacredness. The afternoon included a smudging ceremony. For the FN Peoples, the purpose of the smudging ceremony is to cleanse and to remove any negative energy that may be present in a place, an object or a person. This is why many FN activities start with a smudge. A smudge is made by lighting dried plants (sage, sweetgrass, cedar or tobacco) in a shell or bowl until they smoulder. We were shown what to do when doing a smudge. The smoke from the smudge is directed towards the head, so a person can think clearly, ears so you can hear the good things in life of others and of yourself; your mouth so you can speak of good things and say kind words to one another; your heart so you can feel good about yourself and others; and lastly you smudge your whole self so you can be blessed for the day. How beautiful is that? Another opportunity I had during my six-week teaching stint was I got in on a field trip that was already planned before I started. It was a trip to Blue Quills, formerly a Residential School. Sadly, I knew nothing about the Residential Schools until the mid 2000’s. It certainly wasn’t taught to me in school or university. In case you don’t know about the Residential Schools in Canada, here is a brief history. The Residential School system was created with the intent of removing children from their own culture and assimilating them into Canadian culture. Many of the residential schools were run by churches of various denominations, with the majority run by the Roman Catholic Church. Over its more than hundred-year existence, roughly 150,000 Indigenous children were placed in residential schools nationally. At least 6,000 of these students are estimated to have died while residents. The residential school system harmed Indigenous children considerably by removing them from their families, depriving them of their native languages, and subjecting numerous of them to physical, mental and sexual abuse. Detached from their families and culture, and forced to speak only English or French, students who attended the residential school system were unable to fit into either their aboriginal communities or Canadian society. The legacy of the system has been connected to an increased incidence of post-traumatic stress, alcoholism, substance abuse, and suicide within Indigenous communities. Back to my personal experience. 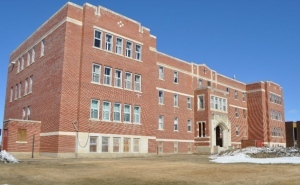 The present Blue Quills Indian Residential School building was opened in 1931, and housed about 200 students a year. We toured the building and heard from two of the school’s survivors, both who were forcibly taken from their homes at the age of six to attend the school. They told many stories of the injustices that befell them; injustices such as lack of nutritious and sometimes inedible food, mental abuse, sexual abuse, and shaming practices by the staff. I was shocked to learn that the people of nearby community of St. Paul were not even aware that the school existed. In 1969, residential schools were removed from churches. The government intended to sell Blue Quills to the nearby town of St. Paul for a dollar. Local Indigenous people formed the Blue Quills Native Education Council and sought authority to operate the school, but Indian Affairs disregarded their requests. When they attempted to close Blue Quills in 1971, the local FN people held a sit-in at the school, demanding control of the school. Control was turned over to the Blue Quills Native Education Council and it became the first Canadian residential school administered by Aboriginal people. Blue Quills is now a FN college, run by the seven FN communities that surround it. The college’s central emphasis is on language revitalization, especially the Cree language. I applaud the FN people for their courage and determination, and for creating a fully functioning college which is still going strong in the 21st century. Our ancestors entered North America, known to some Indigenous groups as Turtle Island, with their superiority complex believing that they were the civilized ones and had a responsibility to “civilize” the original inhabitants of Turtle Island. Now I always taught my social students the importance of practicing “historical empathy,” to place themselves in the historical situation to gain a deeper understanding of the events. Our European ancestors were acting in the best way they knew with their belief systems of the period. However, I have come to realize that it was the indigenous culture who perhaps had it right with their culture of sharing the land, stewardship of the land and spirituality. 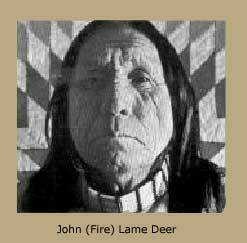 Although FN spirituality varied between tribes, it taught reverence for their ancestors by honouring and respecting others, and a respect for the land. In comparison, Europeans had a culture of land ownership, land exploitation and who viewed FN spirituality as a collection of superstitions. I have to wonder how different our country would be had our ancestors arrived with an attitude of receptivity to new ways, instead of an attitude of superiority.